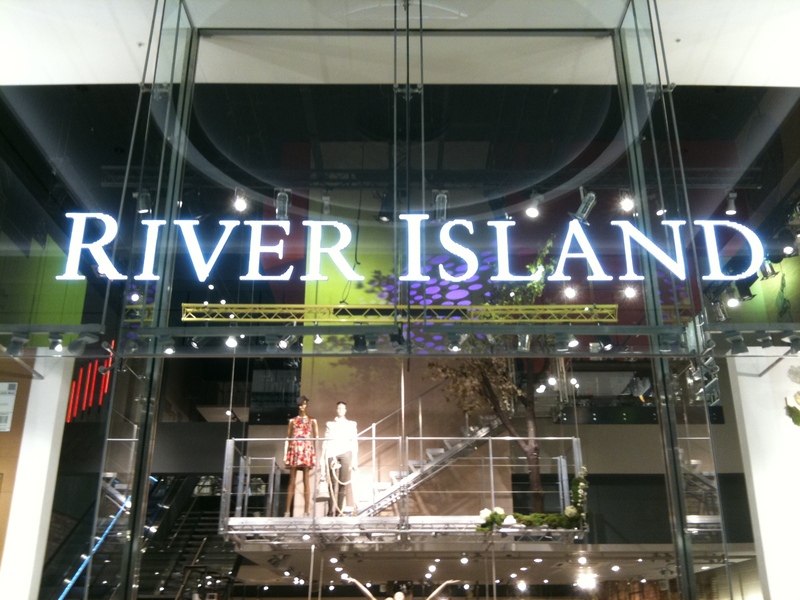 River Island Slimline LED signs. 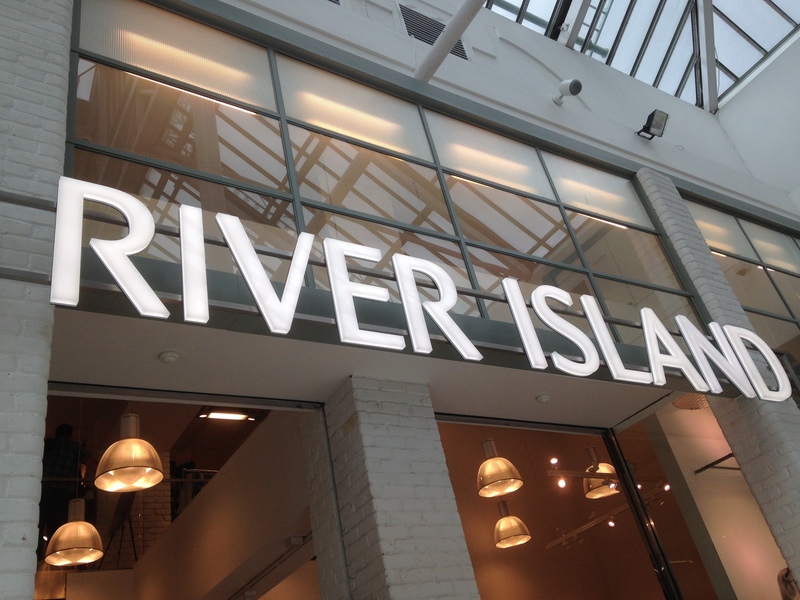 Bespoke River Island ultra-slim and ultra-bright LED letters. 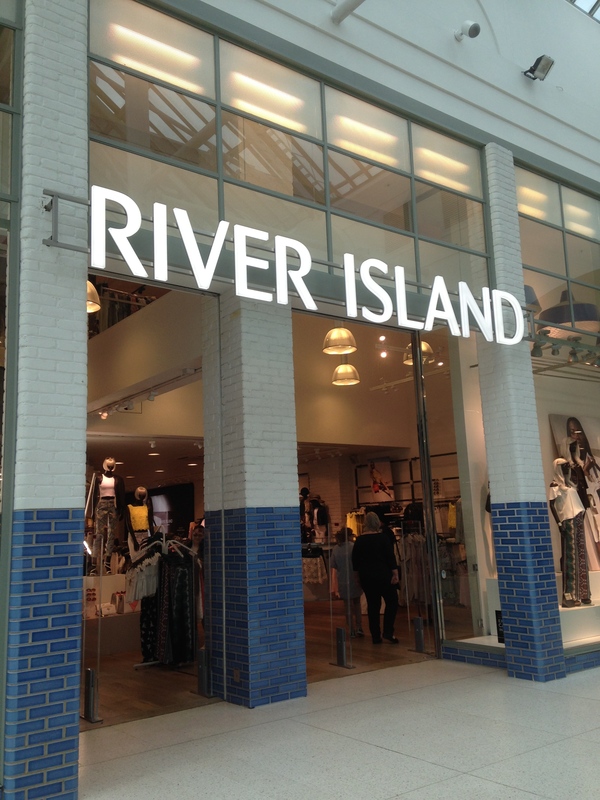 Invisible wires and energy efficient low voltage LED lights for outdoor conditions. 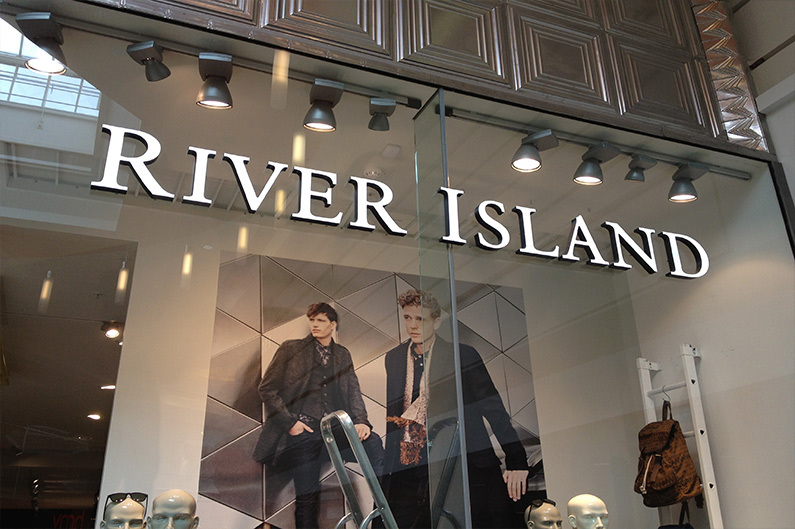 Across River Island global estate.